Fall Over-haul!! ” I’ll Drink to that”!! Well, the Fall has finally arrived and this means it is a perfect time to shed some old skin and overhaul your body. I would like to introduce you to some different beverages you can prepare to help the body cleanse itself and nourish it from the inside out. I’d like to break the drinks into three different categories, and also suggest what you will need for each. #1. Juices– Need a juicer. You will be juicing mostly vegetables. There are many different types of juicers available on the market. Choose the one that works best for your unique needs. For these juices I recommend using beets and lots of greens with some lemon. Experiment and have fun becoming a juice-ologist!! #2. Tea’s– You will need a tea pot. Bring water or nut milk to a boil, add some medicinal tea’s and herbs and spices to create your own healing tonics. I like to take some almond milk and water and add raw cacao powder, turmeric, and raw local honey and a medicinal tea such as dandelion root or pau d arco or green tea., whatever you like or feel will enhance your health. Use your imagination and intuition and give your body what it needs. 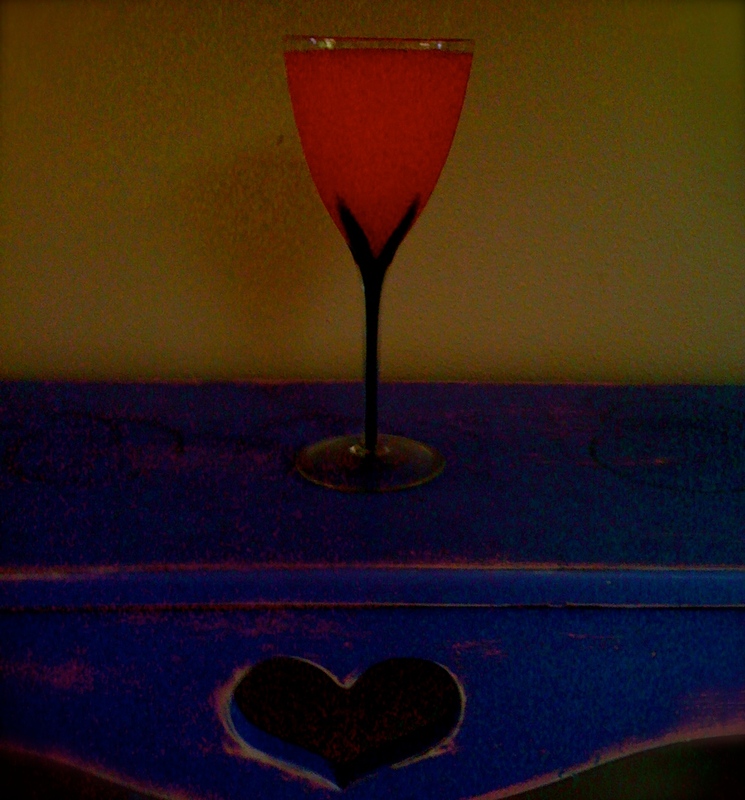 #3 Blended Drinks– Blender needed. Nutribullet is an inexpensive high powered blender that is perfect for concocting blended beverages. If you have lots of $ the Blend-tec or Vita-mix are excellent all purpose blenders. For these drinks you are going to put greens, vegetables, vitamin/mineral powders, super foods, fruits, nuts, seeds, all together and mix. These drinks are super nutritious and will fill you up. When you blend stuff together it masks the flavors. This is a wonderful way to sneak in some healthy veggies that you would not likely eat otherwise. I like to fill my liquid with nut milk, some water, and maybe some kefir or yogurt to add some beneficial bacteria for my gut flora. Then I will mix in some greens, some different super foods such as Maca, chia seeds, flax seeds, and other powdered supplements. I then add some good fats like coconut oil or some almond butter. Next comes the frozen berries. Finally I mix and pour into a pretty glass. Yummm! *****This week, I challenge you to make 1 beverage from each category. Create. Have Fun. Love the process. Feel free to share your creations below. Thanks for participating! “Be Good to your Body and your Body will be good to you!” ~Jared R.
Jules, your intelligence about medical herbs and foods/liquids makes me so proud to know you! (One of the many reasons). 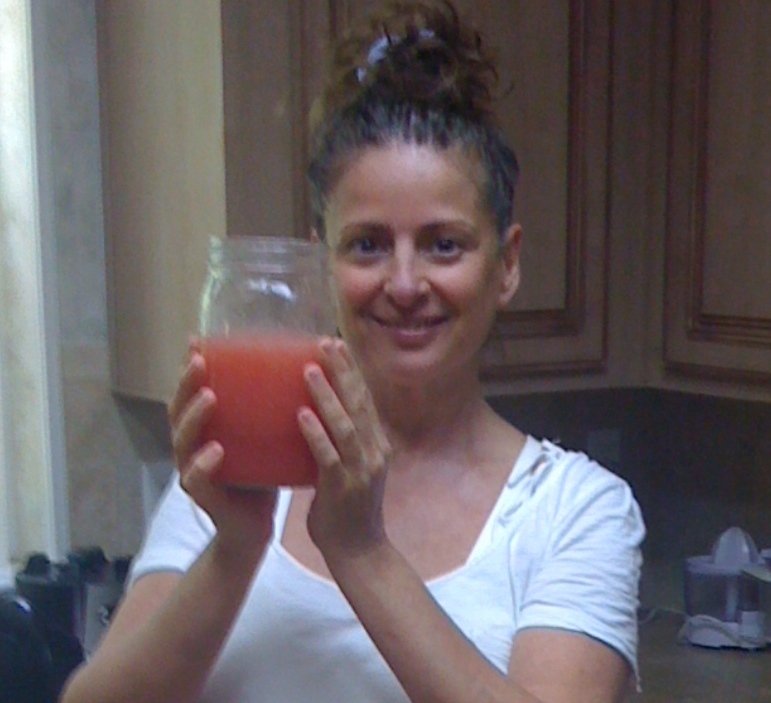 1# I am kicking myself for getting rid of my juicer years ago. 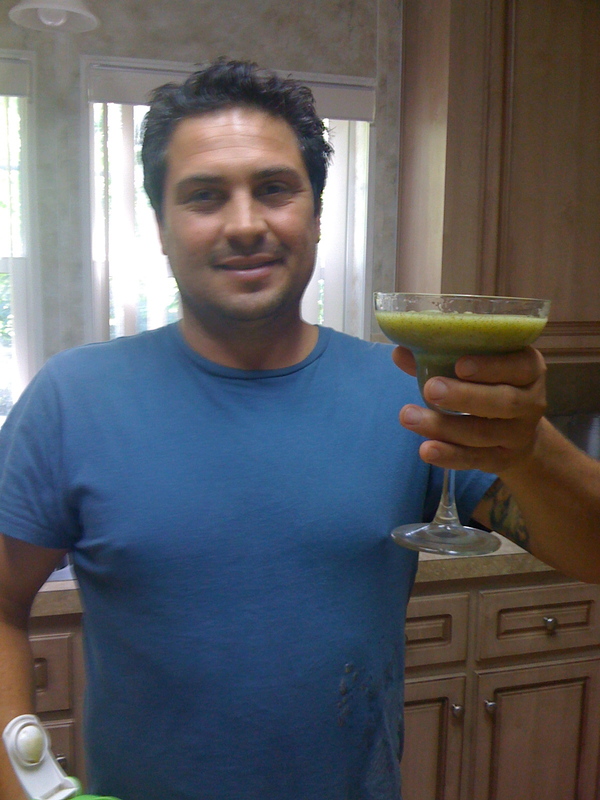 (I think the Momma Lee gave it to me- she and I were really into juicing at one time.) 2# When I visit you I’d love to share some almond milk, as a rich base for our tea with a kick; I have a feeling it will be served in a pretty glass. 3#I’ve got the chia seeds, flax seeds. And have seen Maca in passing, but will stop and learn more about (maca. ), right away. ~Thank you, and Jared, for another delicious post! Jules, your intelligence about medical herbs and foods/liquids makes me so proud to know you! (One of the many reasons). 1# I am kicking myself for getting rid of my juicer years ago. 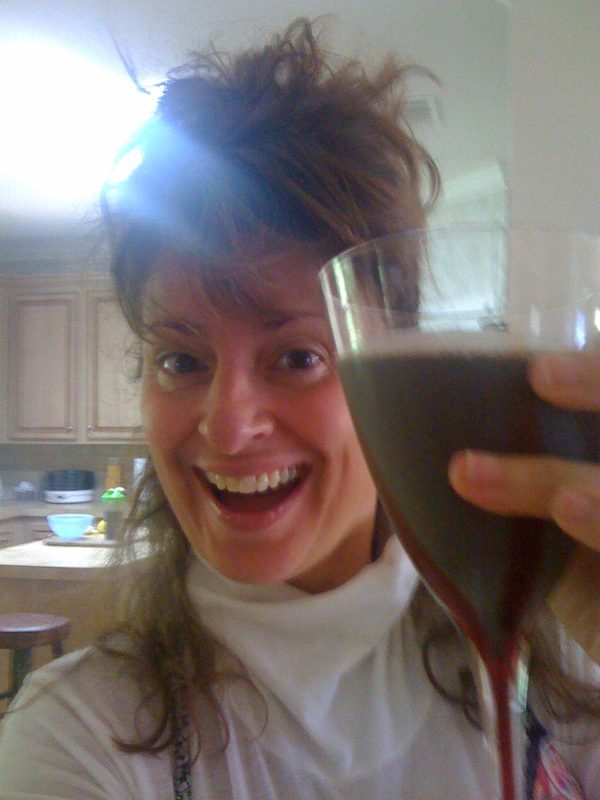 (I think the Momma Lee gave it to me- she and I were really into juicing at one time.) 2# When I visit you I’d love to share some almond milk, as a rich base for our tea with a kick; I have a feeling it will be served in a pretty glass. 3# I’ve got the chia seeds, flax seeds. And have seen Maca in passing, but will stop and learn more about (maca. ), right away. Chia seeds are great for adding bulk to drinks! ~Thank you, and Jared, for another delicious post! We are days away from October and since we like to eat seasonally, “Apples” are the main choice of fruit. I am sharing a recipe here with you that darn near “leaves” me “fall”-ing” speechless when I drink it because it is soooo yummy !